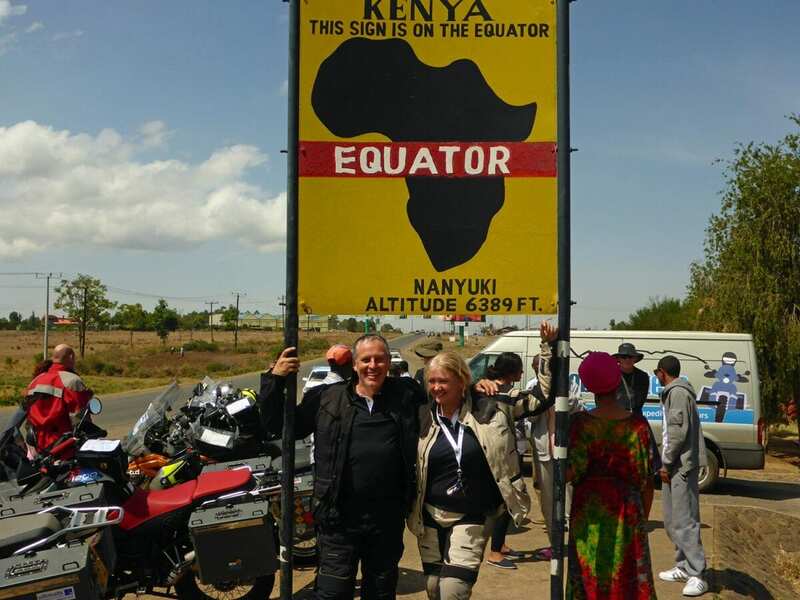 Crossing the equator on land isn’t easy, so it’s a great achievement to tick off the ‘bucket list’ for any adventurous motorcyclist. There are only 14 countries that straddle the line around our planet running mid-way between the poles, and six of those are in Africa (not including Equatorial Guinea, which isn’t actually on the equator). Most of the others are islands or in the middle of the Amazon rain forest, which makes Ecuador in South America the only practical alternative for most riders. Much as we love South America, when it comes to diversity – scenery, wildlife and people – Sub-Saharan Africa is an incredible destination for a tour. From the arid emptiness of the Skeleton Coast to the thunder of Victoria Falls and the scent of Zanzibar spices, Africa is an assault on the senses. And where else could you see lions, elephants, whales, dolphins and penguins, all in their natural habitat? At GlobeBusters we’ve led several African expeditions and the route from Kenya to the Cape of Good Hope is our favourite, giving riders an opportunity to cross the equator and enjoy many landmarks in the ‘Dark Continent’ over the course of six weeks. Of the six equatorial countries, the Foreign and Commonwealth Office (FCO) advise against all travel to Somalia and all but essential travel to the Democratic Republic of the Congo, so that leaves four; Congo, Gabon, Kenya & Uganda. Of those, Kenya is the most advanced/accessible and it’s relatively simple to air freight bikes in from the UK. Specialist companies like Moto Freight can make all the arrangements, so you simply fly in and collect your machine from the airport, as long as you have a carnet de passage in place (a temporary import / export document for your bike). From Nairobi, on the eastern edge of the Rift Valley, it’s a short ride north to the Equator, then you can head south to the Ngorongoro Crater, a World Heritage Site in the Highlands of Tanzania, where you can spot lions and giraffe, wildebeest and warthog. Not a bad start to a trip, although be warned that most national parks in Africa won’t allow bikes in, for fear of you becoming a lion’s lunch, so you’ll need to head in by a 4X4 Jeep Tour. While you’re in Tanzania, don’t forget to visit the highest mountain in Africa, Mount Kilimanjaro, with its three volcanic cones, before taking the ferry to the spice island of Zanzibar in the Indian Ocean (the birthplace of Freddie Mercury). Zanzibar is better as an “off bike” side excursion, taking the passenger ferry across, and it means you can kick back for a few days on pristine white sand bars in the middle of the Indian Ocean. 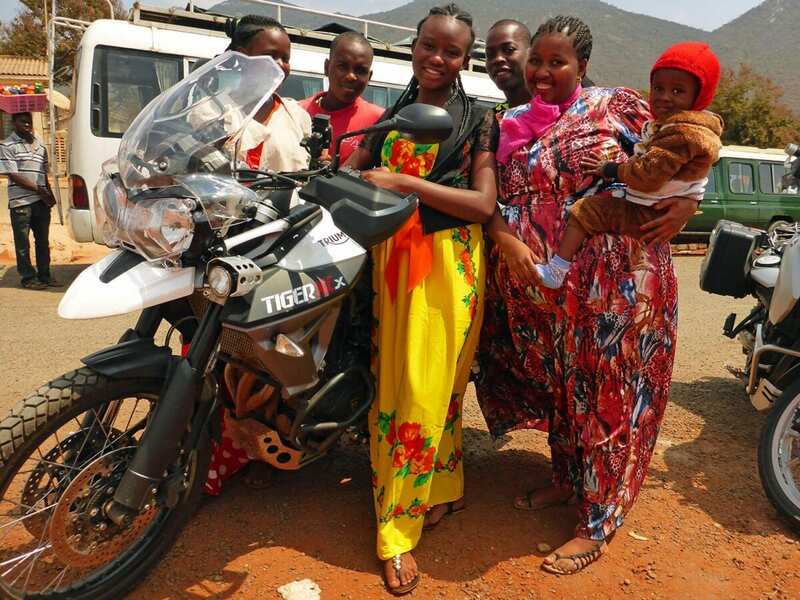 Tanzania would be a dream country to ride in, but for the police, recently equipped with the latest radar and camera equipment and carefully placed at the end of most villages. 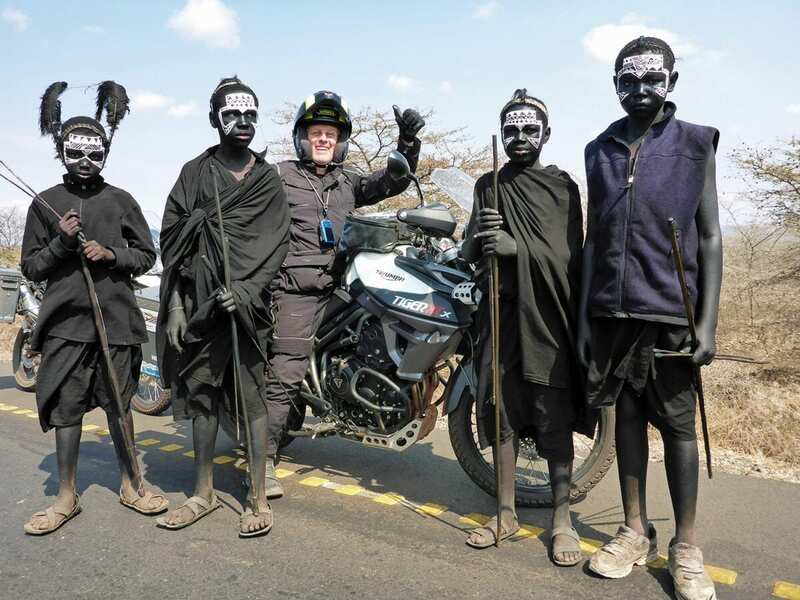 Expect to pay an ‘off-the-record’ 10,000 Tanzanian Schillings (roughly £3) every time you’re stopped, unless you have a very good story to tell. We have heard pretending to be a vicar or the Swedish Transport Minister works well! Back on the mainland, ride through the coffee plantations into Malawi, home to the third largest lake in Africa, where you can witness incredible sunsets. 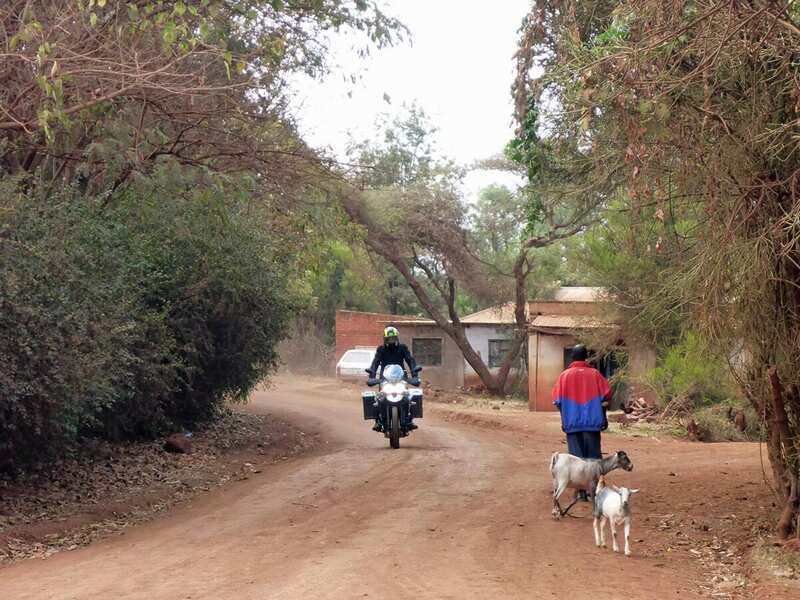 Malawi also has some of the best twisty roads, all paved and pretty free from traffic, (although watch out for the pedestrians and cyclists). 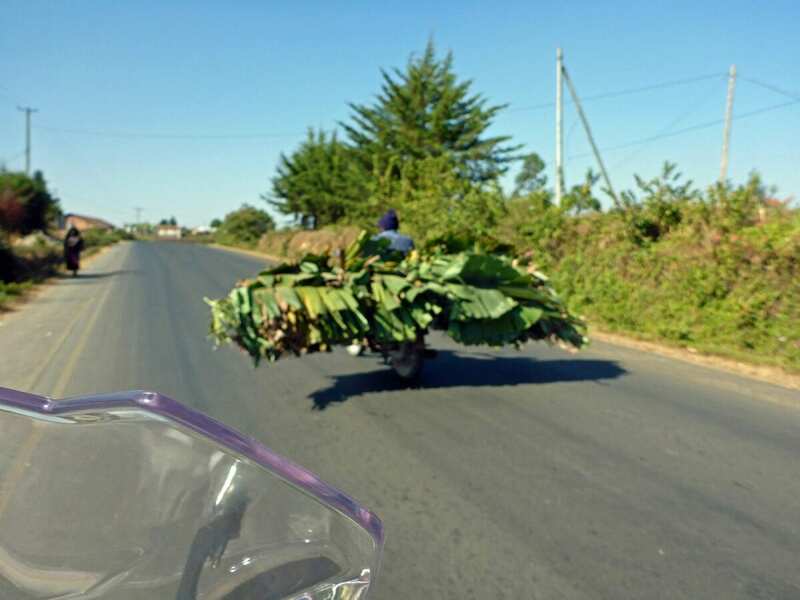 As one of the poorest countries in the world, owning a bicycle ranks you to the top of the pecking order – most people walk everywhere and all along the side of the main road. From there, travel west into Zambia and the historic colonial town of Livingstone, where the Zambezi River plunges over the cliffs, forming the mile-wide Victoria Falls. Cross the Zambezi on a small pontoon and you arrive in Botswana, home to the Chobe National Park, which has one of the largest concentrations of game in Africa and is famed for its spectacular elephant population. Swap your bike for a boat here and spend the afternoon floating along the river animal spotting. 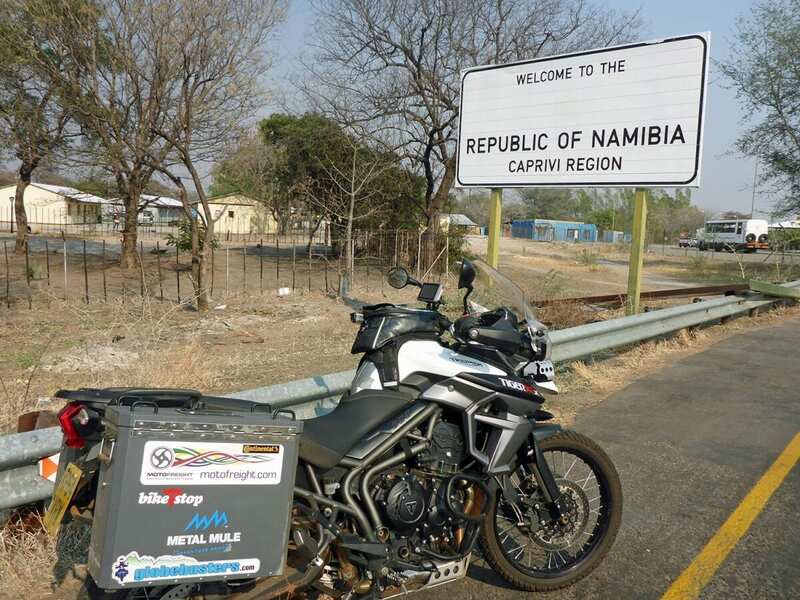 Entering Namibia, you’ll ride through the long narrow Caprivi Strip, sandwiched between Zambia, Botswana and Angola – it’s a completely tarmac road and pretty long and straight, but the likelihood of seeing wild elephant at the side of the road is almost guaranteed, so be careful if you’re tempted to blast at top speed. From there it’s mostly unpaved tracks down to the Skeleton Coast and when you arrive, you’ll have traversed Africa from the Indian Ocean to the South Atlantic! The coastal road is a salt road, so almost as good as concrete and not too difficult for anyone to ride; make sure you look out for shipwrecks and seals. Once back inland, you ride the dirt roads of the Namib Desert to the ‘moonscape’ of the red Sossusvlei Dunes and the majesty of Fish River Canyon; 100 miles long, up to 17 miles wide and almost 550 meters deep in places. These roads are unpredictable for bikers and in the high season are graded every ten days to try and ensure they don’t get too heaped up with gravel and sand, but even so, you need to be up on the pegs and keeping a keen eye out for deeper sand sections – it’s really safer to tackle these roads in small groups, just in case. Cross the Orange River into South Africa and ride through the Cederburg Wilderness area, a mountain range that’s home to an endangered species of cedar tree. Soon you’ll be in the vineyards around Stellenbosch, one of the oldest towns in the country, and with some of the finest vineyards in the world! 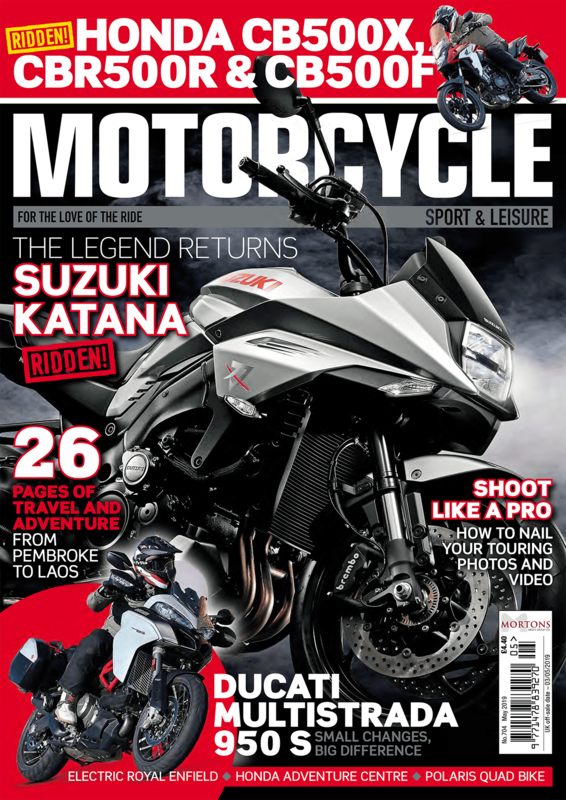 From there you are perfectly placed to ride to the southernmost tip of Africa – Cape Agulhas. Leaving there, follow the coast road around False Bay and onto the Cape of Good Hope. Ride Chapman’s Peak Drive, a spectacular road that hugs the near vertical face of a mountain, and into Cape Town, nestling below Table Mountain. Then you can freight your bike back home and catch a passenger flight from the international airport. How much experience will I need? 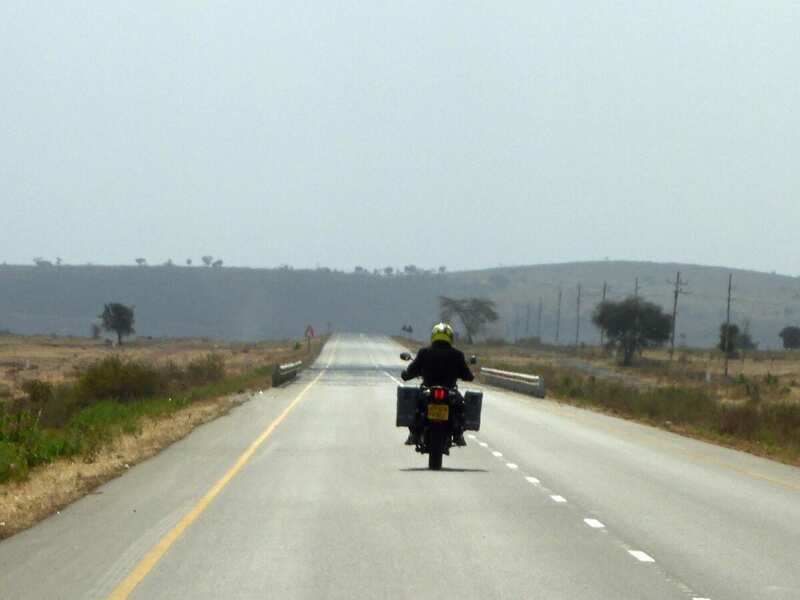 Riding in Africa is predictably unpredictable. Expect anything from anywhere – after all, you’re sharing the roads with wildlife, domesticated animals, people and some of the worst-maintained vehicles on the planet. On top of that, you need to be confident riding on gravel roads, as they feature widely, particularly in Namibia. 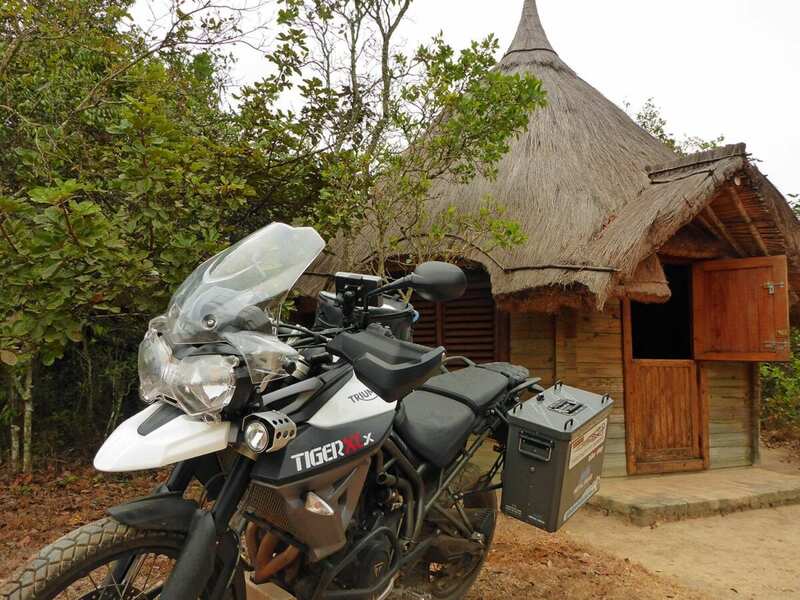 We would not recommend riding in Africa unless you have some experience of riding overseas, particularly covering long distances in hot climates. And, if you’re bringing a pillion along for the ride, the same goes for them too. Early spring is the best time to travel in Southern Africa and, because it’s in the southern hemisphere, that means September/October, before the rainy season in summer (being British, we can identify with heavy rainfall in summer!) It’s warmer closer to the equator, with temperatures on average between 25 – 30°C. As you approach South Africa, the climate becomes more temperate, with the chance of some rain. If you’re a UK Citizen you only need to get the Kenya Visa in advance and you apply online as an e-visa. You can purchase visas at the borders for Tanzania and Zambia and no other countries mentioned here require them. But you will need a carnet de passage for your bike, which you can get from the RAC. Obviously your original passport and driving licence are essential. Apart from in major cities and at luxury hotels, your credit card will be pretty much redundant. We advise travellers to stock up on US Dollars and the South African Rand, which is linked to a number of other currencies in the region. Both are readily exchangeable in most of the Southern African countries. Unless you intend to make your trip a physical challenge, you need a reliable adventure sport bike, with plenty of suspension travel, so that it can cope with poorly maintained roads. There are some decent stretches of tarmac in South Africa, but most of your ride will be bumpy! 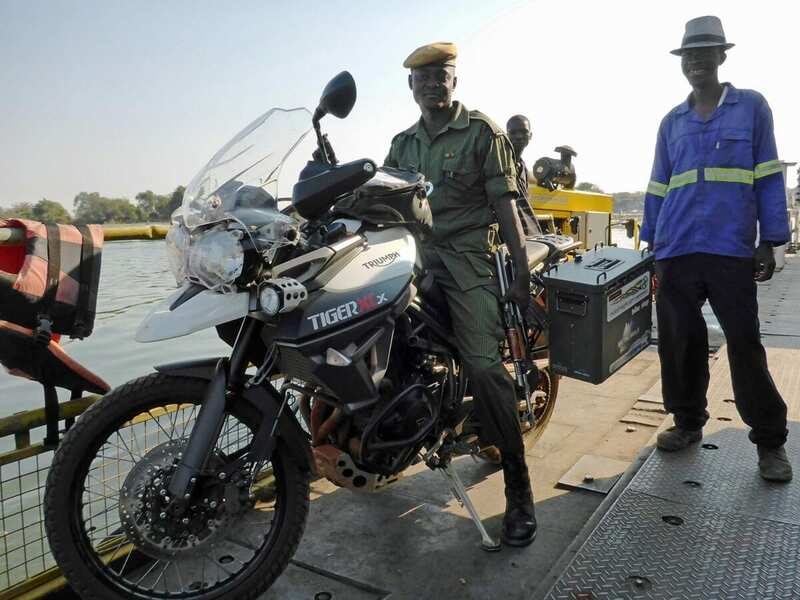 A mid-capacity machine, like the Triumph Tiger 800, will have plenty of power for covering long distances in comfort – top end cruising speed is unlikely to be much use in this continent. Fit it with some decent crash bars and metal boxes (we use Metal Mule) and you should be all set. 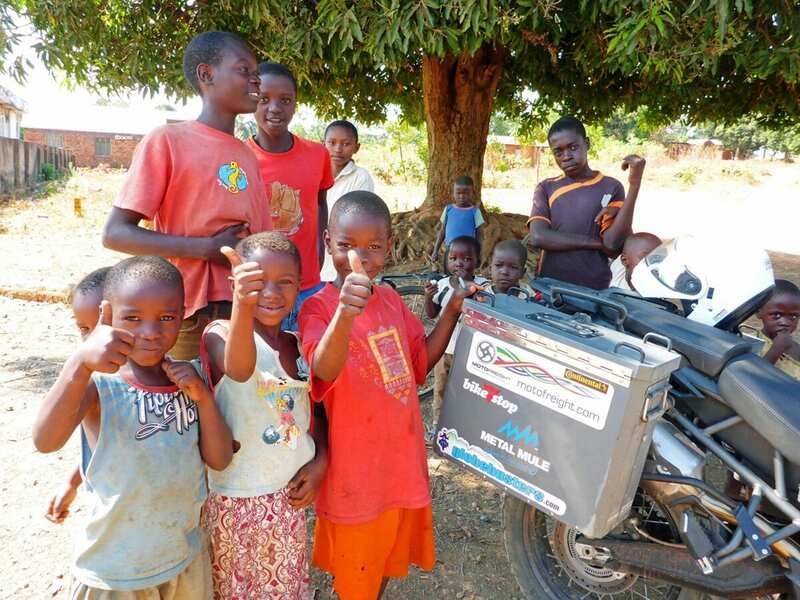 Petrol can be scarce in some countries, so a decent tank range is essential and we tend to carry a small amount of extra fuel on the bike in case of emergencies.